Stuart is a Principal Consultant for Curium Solution. 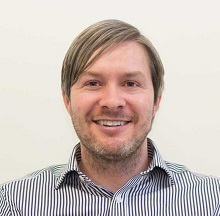 He joined the Curium team after spending nearly 20 years at one of the UK’s largest energy suppliers, where he led their North West contact centre, ran cultural change programmes across their 6000 strong customer service teams, and defined and shaped the strategy for quality coaching and operational effectiveness. As part of Curium’s performance solutions, Stuart is responsible for the design and development of the client experience, aligning key products and services into a simple and effective approach that places people first and aims to bring abour cultural change. Stuart supports the delivery teams in making workshops and events become an exceptional experience. Stuart is a TetraMap Master Facilitator and has a real energy and enthusiasm for people development.